Dr. Bernard Park is a great thoracic and cardiac surgeon in New York. He got his medical degree from Perelman School of Medicine at the University of Pennsylvania and did his residency and fellowship at New York Presbyterian Hospital. Dr. Park is certified in both surgery and thoracic and cardiac surgery, having a vast experience of 20 years. 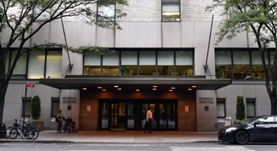 He is currently affiliated with Memorial Sloan Kettering Cancer Center. Dr. Bernard J. Park has contributed to 3 publications. Postinduction positron emission tomography assessment of N2 nodes is not associated with ypN2 disease or overall survival in stage IIIA non-small cell lung cancer. Yang, H. X.,Woo, K. M.,Sima, C. S.,Bains, M. S.,Adusumilli, P. S.,Huang, J.,Finley, D. J.,Rizk, N. P.,Rusch, V. W.,Jones, D. R.,Park, B. J.; Ann. Surg.. 2016 Mar 25.